Save on 440 Quantity Balls! These vibrant colorful play balls for ball pits are air filled and crush proof! Commercial quality balls are ideal for both indoor and outdoor play. Great for eye hand coordination for the little ones! 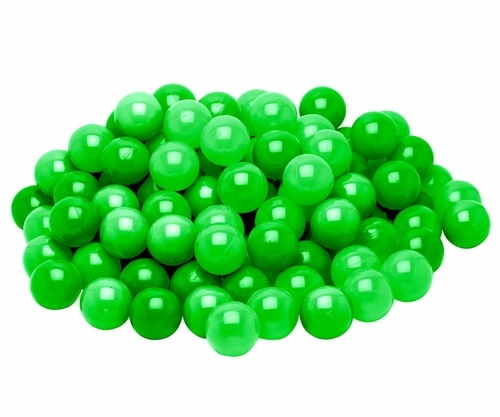 Box Size: 19" x 18" x 23"
HOW TO DETERMINE THE QUANTITY OF BALLS NEEDED TO FILL A BALL PIT: Calculate the cubic feet of your ball pit by multiplying the length x the width x the depth. This will give you the cubic feet you need to fill. Divide this number by the cubic feet in each box of ball pit balls to determine how many cases you need.